Reading the room is something stand up comics are intimately familiar with. The difference between killing it and dying out there are vastly different. Jokes that get the biggest laugh with one audience may fall flat with another. 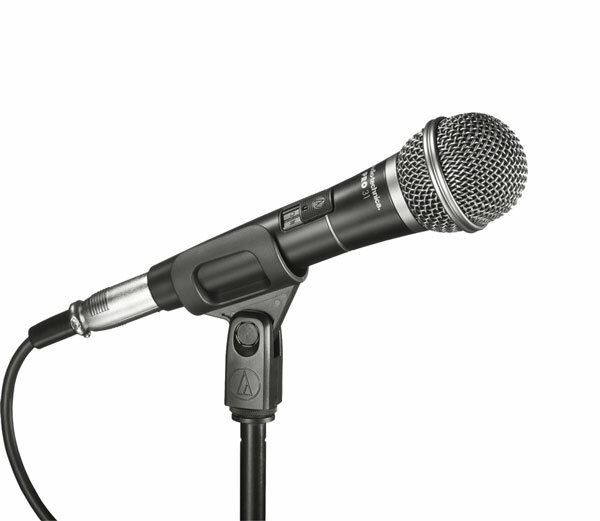 How to handle a heckler and make them a part of your act is an art form that every comic needs to be good at, because sooner or later there will be a heckler in the audience. People are there to be entertained and have a laugh. If you are not funny or entertaining, audience feedback is instant. People are not shy about expressing approval or disapproval. The same thing happens with live theater and public speaking. Presenters and actors know when they have lost the audience. They may not be as vocal as with comedians, but when people lose interest, you can feel it on stage or at the podium. Musicians and performers also know about reading the room. They have learned how to keep people engaged, energized and on their side. The thing is, especially with public speakers, the speaker need not be slick and professional to hold an audience. I have seen terrible public speakers keep people on the edge of their seats. The presentation may take many wandering asides, or the story may make absolutely no sense, yet the audience will stay with the speaker, encourage them and give them energy. The same thing happens with the host at a tea gathering. The host must learn to read the room. Like the terrible public speakers, a host at a tea gathering may not have a perfect and beautiful temae to keep the guests engaged. Learning to read the room and be flexible enough to keep the guests engaged is part of the art of tea. I am reminded of the story of Rikyu and his disciple who went to a gathering. The host was very nervous and made many mistakes in his temae. 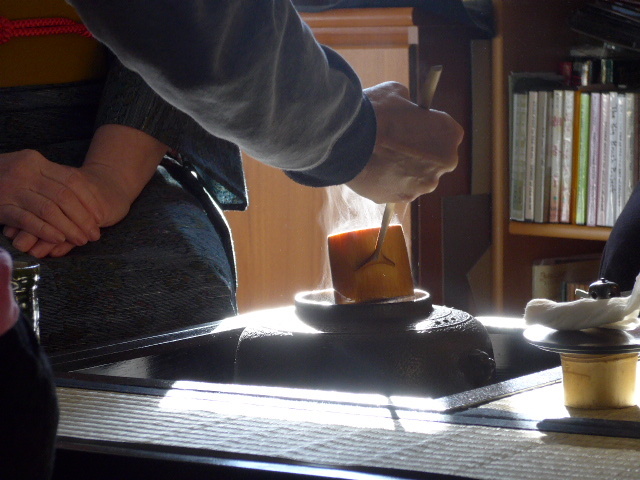 His hand trembled and the tea scoop fell from the tea caddy, and without stopping to put straight the whisk which had rolled on the mat to his side, he presented the bowl of tea to Rikyu. 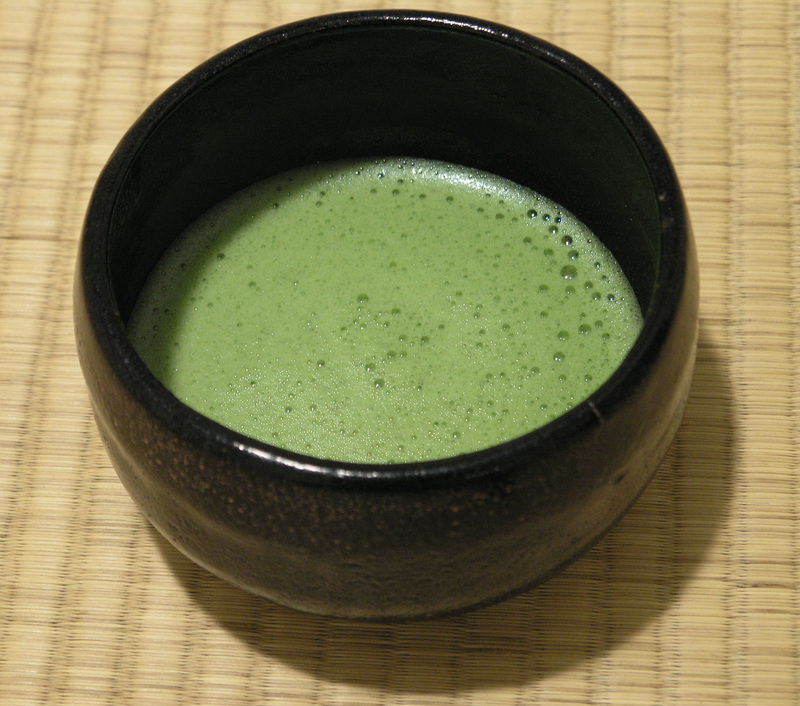 The disciple snickered at the mistakes, but Rikyu said that the presentation of tea was the best he had ever seen. Later, on the way home, the disciple asked Rikyu what was so great about the presentation of tea. 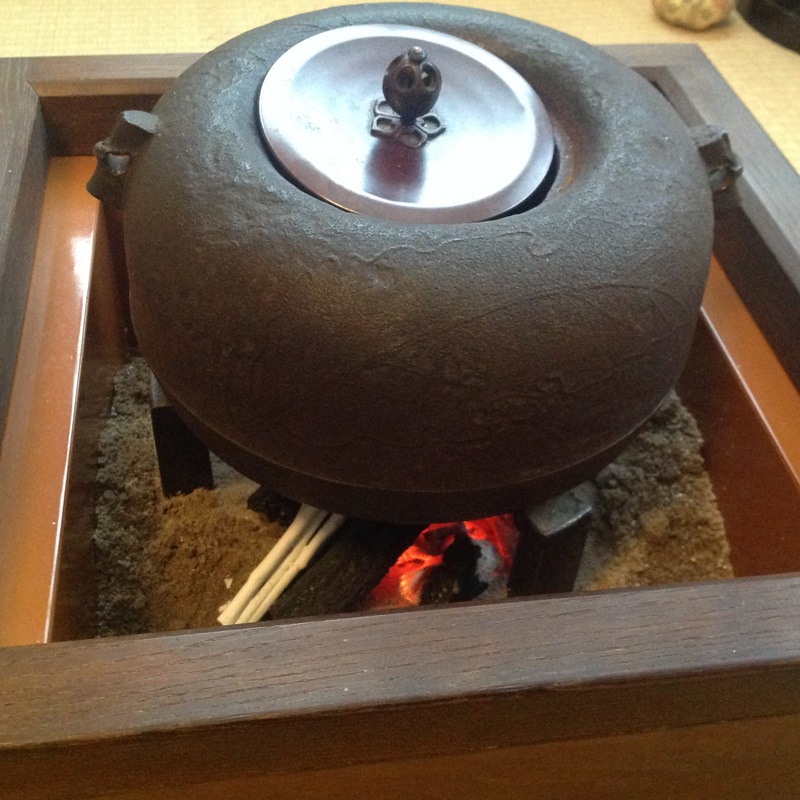 Rikyu replied that the host’s whole mind was so concentrated on giving me the bowl of tea before it cooled that he took no notice of the slips and accidents, but went straight on and finished serving it. What is it about these stories that hold the guests and/or the audience in spite of the imperfections? For me, I have learned it is about authenticity, sincerity, and focus. In other words, kokoro. Showing up not just in your body, but in your mind, and your spirit. It is being present for your guests. It is about sincerely wanting to make the best tea for your guests rather than make no mistakes. It is about the focus on your guests, rather than how you look. I believe guests show up to a tea gathering predisposed to want the host to do well. They are ready and eager to give the host their energy and focus. If they find themselves in the middle of a perfectly beautiful but cold temae, the energy of the room slips away a little at a time. If the focus of the host is to make no mistakes, the guests may have a good time, but not a memorable or life enhancing experience. 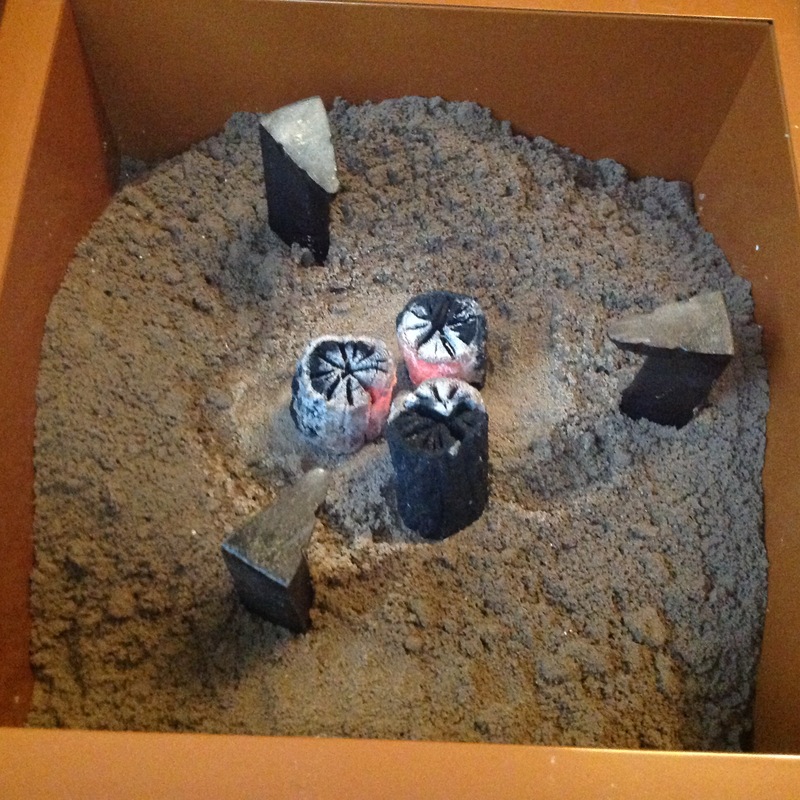 One of the most memorable gatherings I have attended didn’t have beautiful or expensive dogu. The host’s temae was not perfect. But the host was masterful at reading the room, flexible to adjust himself to the guests, and the energy of the guests fed the host who returned it to the guests. I never wanted it to end. I just wanted to sit there at the nexus and feed on the energy and feelings of everyone in the room. We all could feel the kokoro. 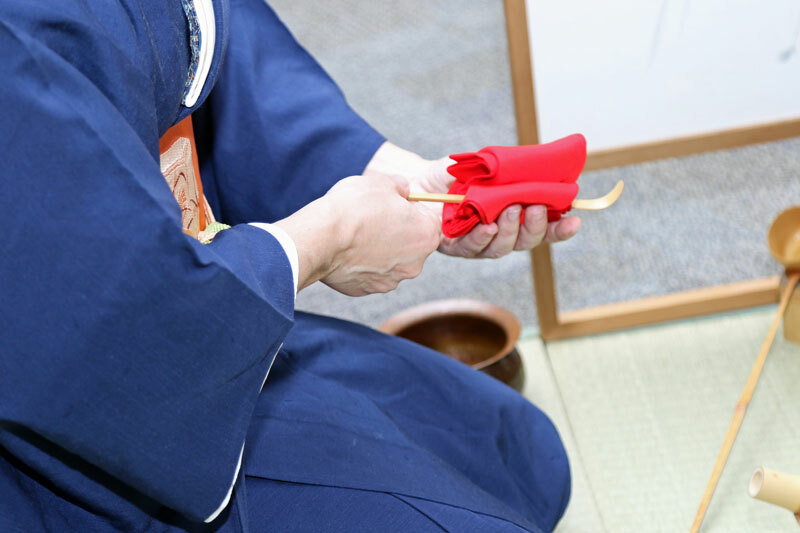 It has been the custom of my sensei and indeed myself, that after a chaji, chakai, or a demonstration of chanoyu, to make sure all students and helpers have a sweet and drink a bowl of tea before we clean up. After the guests leave, there is still so much to do. And yet, to take the time to serve everyone is important. I understand in some venues we must clean up and be out of the building according to a timetable, but not before everyone has had the chance to enjoy sweets and tea. Everyone on the host side has done their utmost to make the guests feel welcome and comfortable. So out of respect and appreciation for their time and work, they are served sweets and tea. This pause for sweets and tea takes only a moment. I think we need this pause before the bustle of cleaning up. Enjoying tea is not just for guests, but for hosts and host helpers as well. Indeed, we have precious little time to “sit alone in contemplation.” There is so little stillness in our lives that are constantly in motion. After an intense experience, your resources and energy are at a low ebb. To take time to absorb the experience makes it all the more meaningful. This time of contemplation and stillness is nurturing and also refreshes our inner spirit and gives us energy and strength for whatever is to come next. There is a regular rhythm in our daily lives. From the time we arise in the morning to when we go to sleep at night there is a certain rhythm to our day. Just as the rhythm of our heartbeat, the rhythm of our breathing regulates the processes of our bodies. 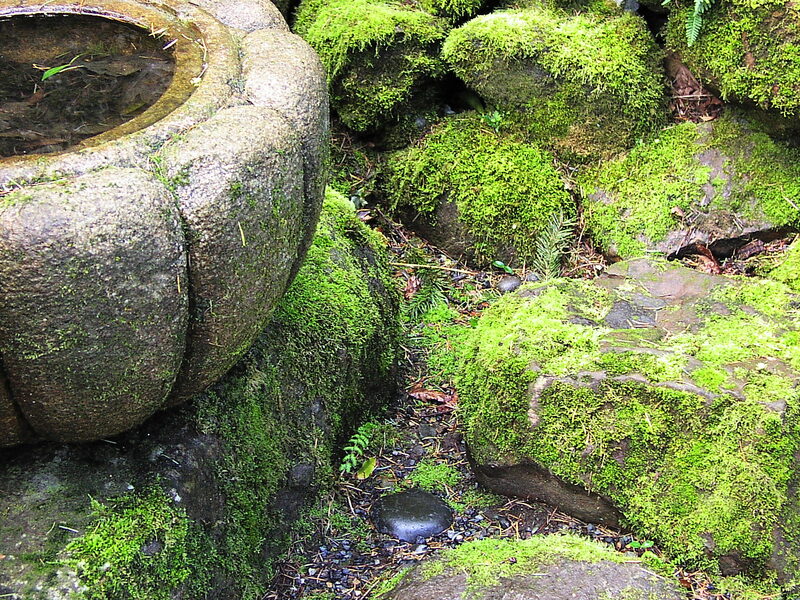 The movements of our bodies, our energy, and our intention regulate the rhythm of temae. I sometimes think of temae as a roller coaster. At the beginning, the cars start slowly climbing to the top of the first hill. The tension and excitement builds until we come to the top. For one indescribable moment at the top, the anticipation hangs before we drop down the other side. 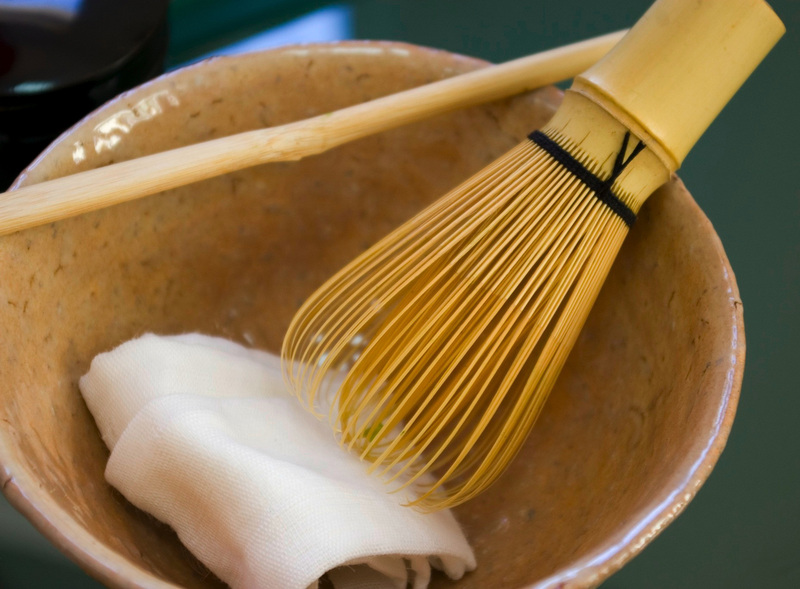 Just as in temae during the purification of th e utensils, the tension builds until the moment the guest turns the bowl to drink. The anticipation of how the guest will receive our tea hangs for a moment as the guest takes that first sip and down we go to the other side. Then there is the build up for the next guests’ tea until all have had their bowl of tea. Up slowly, stop for a moment, down the other side, just like a roller coaster. 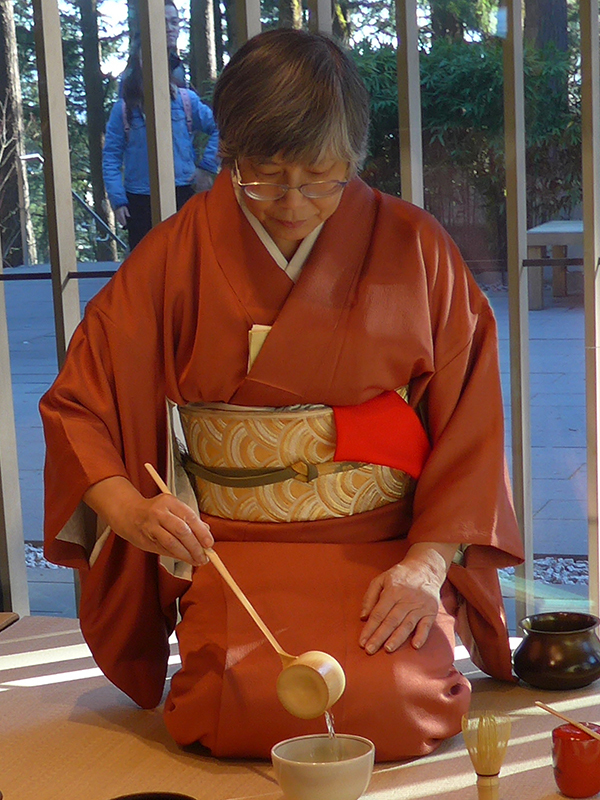 During the closing, rinsing the bowl and whisk is going down until the anticipation starts to ramp up again as the first guest requests haiken. 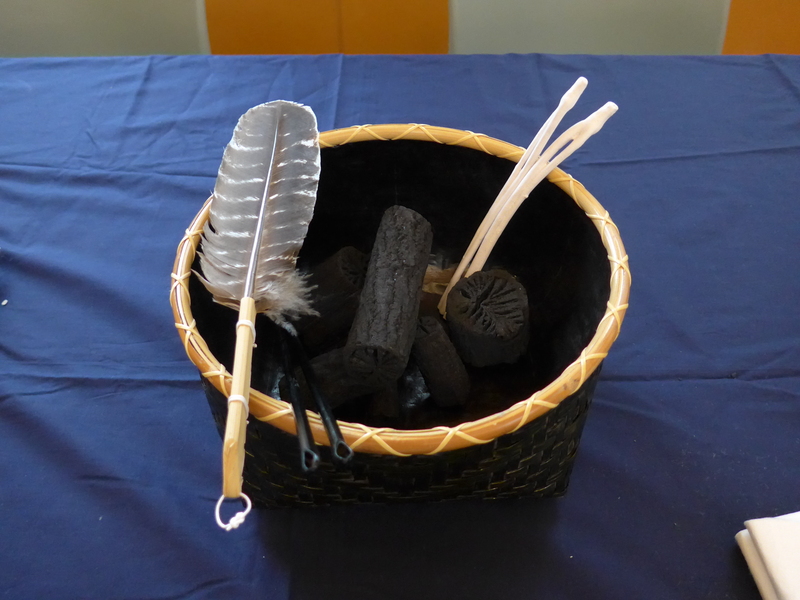 The anticipation of seeing the utensils close up peaks as the host leaves the room and then haiken begins. Then we go climbing up again as the host returns to the room to tell the guests about the utensils. Down the other side as we realize the temae is coming to a close. This is a natural rhythm of temae. Even within the high and low points of temae, there is a rhythm. For example, when whisking usucha, start slowly to incorporate the dry powdered tea into the hot water, whisk briskly to get bubbles forming and then slowly whisking across the top to pop the large bubbles before finishing in nonoji. If the temae were all high excitement points one after another throughout the procedure, think how exhausting it would be. Taking advantage of these natural high and low points gives the guest some time to rest and recover for the next anticipated high point. 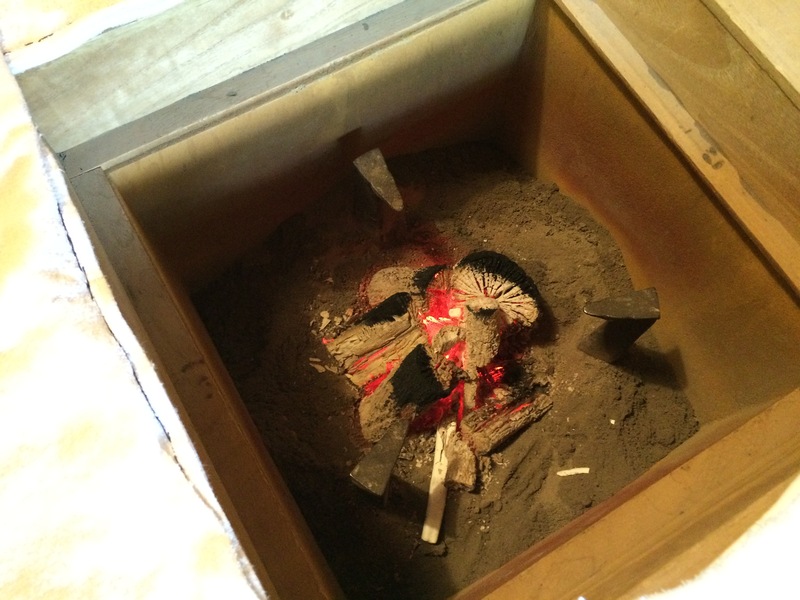 Also, as the rhythm of the temae is varied, it provides more interest for the guests to pay attention as it flows from slowly to quicker to slower again. 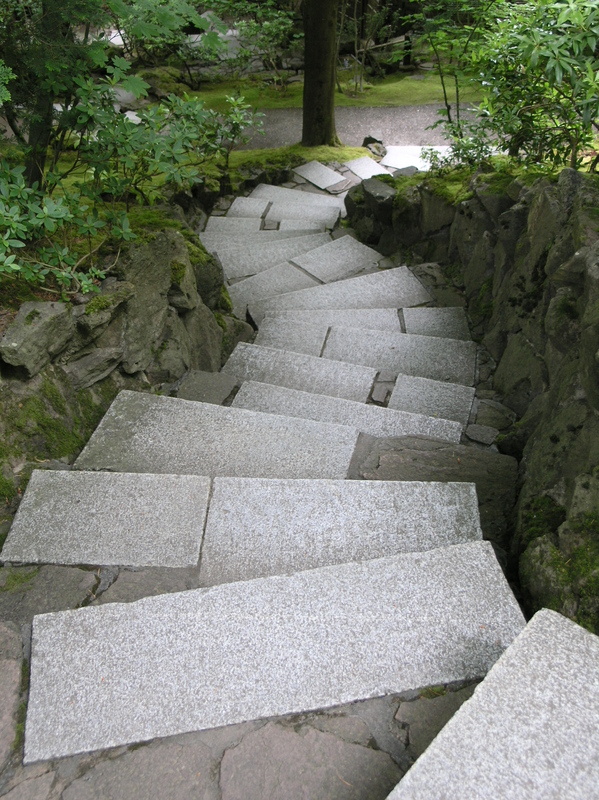 Putting a so-called accent in (namaru) means to do the steps with uneven rhythm, fast here, slow there. What is called namaru is the quality of making tea with varied tempo. 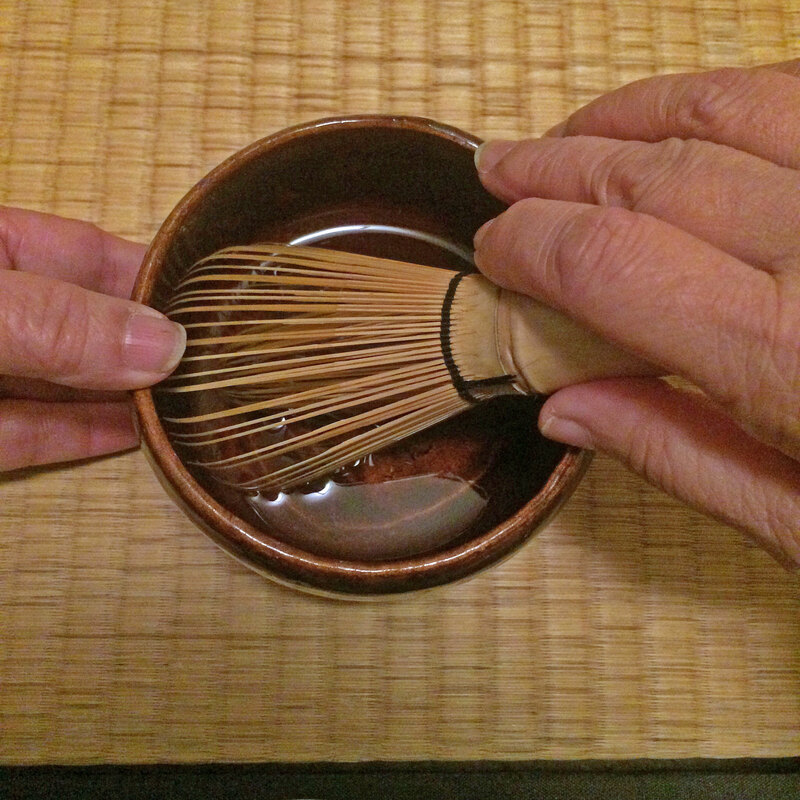 Namaru describes the quality of making tea in which one procedure is done quickly and another slowly. So when you are practicing your next temae, think of the rhythm of it, how it generates excitement for the guests and how to allow space for the guests to rest up for the next peak.